When we talk about online retail, everything sells. Early 2000's was said to be the phase of initial rise of the eCommerce space in India. Since then, many categories jumped into this market. Some came and went, while some still hold a stagnant position and some of them are still seeking a breakthrough. It all started with electronics and then came the boom of online fashion and apparel. Looking at the current scenario, it seems like Home Decor and Furnishing is rising to the NEXT BIG THING in the Indian eCommerce space. Many prominent names in Home Decor and Furnishing have come up and the competition has started picking pace but still 90% of the market is unorganised. This is a gigantic industry when we look at the market size which is close to $20 billion and half of this is expected to be in the furniture category. After introducing options like partial payment and COD due to customer's apprehensive approach towards buying furniture online, we saw that the trust started building in. People tested us by buying smaller products first and then went ahead buying big products", said Rahul Agarwal, Co-Founder & CEO, Mebelkart, a Bengaluru-based start-up founded in 2012 which provides a range of products in home decor and furniture. The margin in this category stands as high as 15-25 per cent and this makes it more competitive and at par with the online apparel space. In other developed markets such as China and Brazil, the margin falls between 10-25 per cent which means it is an encouraging number for Indian eRetailer. One of the major roadblocks in Home Decor and Furnishing is delivery. Most of the players in the furniture industry in particular offer delivery in between 3-20 days. The orders are first brought from the vendors to company's warehouse and then transported to the consumers through a third party supplier. This also increases the chance of products being damaged while transporting. About 90% of the orders placed in this segment are prepaid. There is a set limit of orders for more than Rs. 10,000 (on an average) COD (cash on delivery) can be availed. Inventory management and supply chain has been second in the challenge bucket for these online retailers. The demand of online furniture scaled all of a sudden and with only a few major players in the market, it is hard to fulfill it from the backend as compared to other categories such as Apparel and Groceries where more options are available. Items such as bed, sofa etc. are large items which constitute 25% of the total furnishing items and Indian customers are still hesitant towards online shopping for such large items as there is a touch and feel factor involved. Third is interconnectivity. A customer sitting in Uttar Pradesh has no access to the furniture made in Rajasthan. So, expanding this market into Tier II and III cities is going to be an onerous job to do. Until a few years ago, if we had to buy furniture for our house, most of us would call a local carpenter or head to the nearest furniture store. Buying furniture used to be a family event, where all members would go out together in the evening to buy a sofa or a bed. But now increasing numbers are going online and furniture will very soon become one of the largest category of eCommerce market in India. Speaking on the same, Vikram Chopra, CEO & Co-founder, Fabfurnish.com said, "The online furniture buying market is booming. Even though the Indian consumer base is sceptical about online shopping, it has evolved manifold. It has become more open to the concept of shopping online." FabFurnish.com is India's leading online home store that offers furniture, decor products and kitchenware from across the globe. As of now, a large chunk of furniture retail in India was run by standalone stores and individual carpenters. A clutch of online retailers have emerged in the last couple of years and have taken this scattered industry with a storm. A lot of new innovations have been done to gain consumer's trust in online furniture. Modern bespoke designs, 360 degree view, product trials, virtual setup, convenience of delivery and assembling etc. 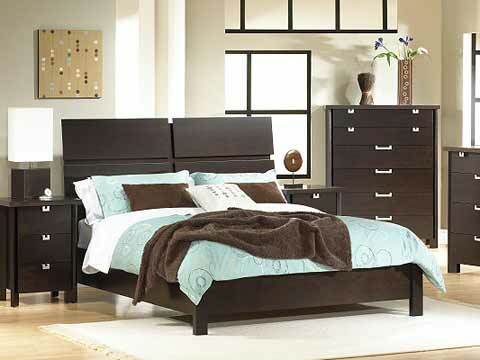 have changed our perception towards shopping furniture online. As per Ashish Shah, COO & Co-dounder, Pepperfry.com said, "Home décor and furnishing were always driven by variety. A home is an expression of your individuality and everyone looks for large and different varieties. But these offline retailers were not able to fulfill this requirement due to limitations by the real estate space. Even a large showroom of 20,000 sq ft will only be able to have 5 beds. A marketplace shows you 100 beds before making a purchase decision. People want to see more and more before purchasing one and this has been made possible in furnishing with players like us. So, online furniture businesses have the right to win in this category." Pepperfry.com is an online Home & Lifestyle marketplace, launched in January 2011 and claims to have a current user base of 7 lakh. These online retailers and their models have caught the attention of VC firms and other investors. All these newly emerged furniture marketplaces are well backed and this is the reason the market has grown many folds and is expected to boom in the coming years. Even eCommerce monsters like Flipkart and Snapdeal are also in talks to step into furniture market. When asked about the same, Anil Goteti, Senior Director (Business), Flipkart said, "Home and furniture is actually a very exciting space and a lot of action is going on here especially in the eCommerce section. It's a $20 billion and online part of the business is at a very nascent stage and we are making a lot of unorganised market come online." With consumers moving out of the "touch-and-feel" disposition slowly but steadily, online Home Decor and Furnishing intends to strengthen its root in the Indian market in the coming years. The entry barrier in this category is fairly low and with offline merchants like Neelkamal, Godrej, Durian, D'Decor playing the same old school game, there is huge scope of acceleration in the online space. No doubt this offline segment which is there from ages will still remain the best choices for a set of consumers, but it will be interesting to see the tips and tricks used by these pure play online players to cope up with retailers going online.